On July 16, 1749 Carl von Linne and his secretary Olof Söderberg visted Ängelholm. In his travel notes, he commented, “Engelholm, a small town, likes at the north corner of the inner bay which sweeps in from the sea to the north of Kullen, almost half of a quarter mile (approx 1.3 km) from the shore.” He also described the only street as ‘bright and pretty’. 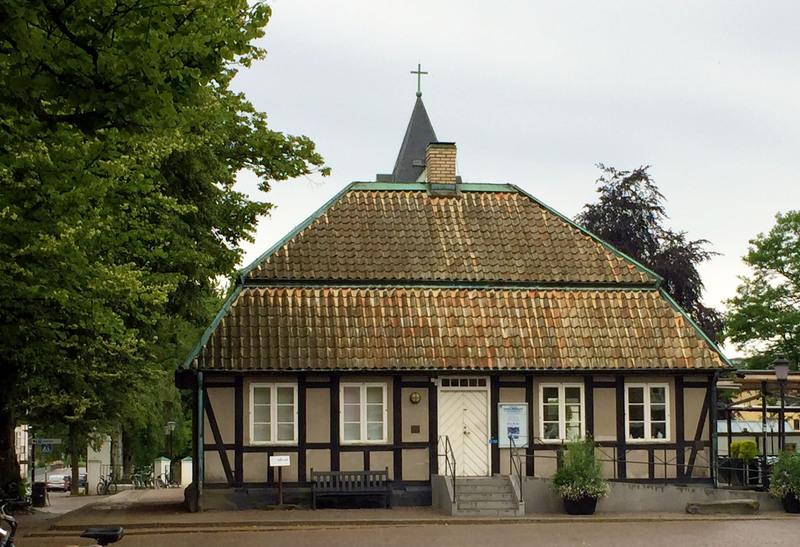 In 1749, Ängelholm had a population of 387 who lived in 120 houses on 68 plots. Shortly before Linne’s visit, there had been a fire in the heart of Ängelholm and the inhabitants rebuilt with less flammable materials like stone. 20 years before Linne’s visit (1729) the town had passed an ordinance forbidding people to smoke pipes outside. (I think I translated that right). About the time of Linne’s visit, planting in hopes of stopping rolling sand dunes from swamping the village and ariable land was in full swing. Work to get Maram and Lymegrass established went on until 1765. Later trees were planted which finally blocked enough wind that the dunes were no longer a problem.